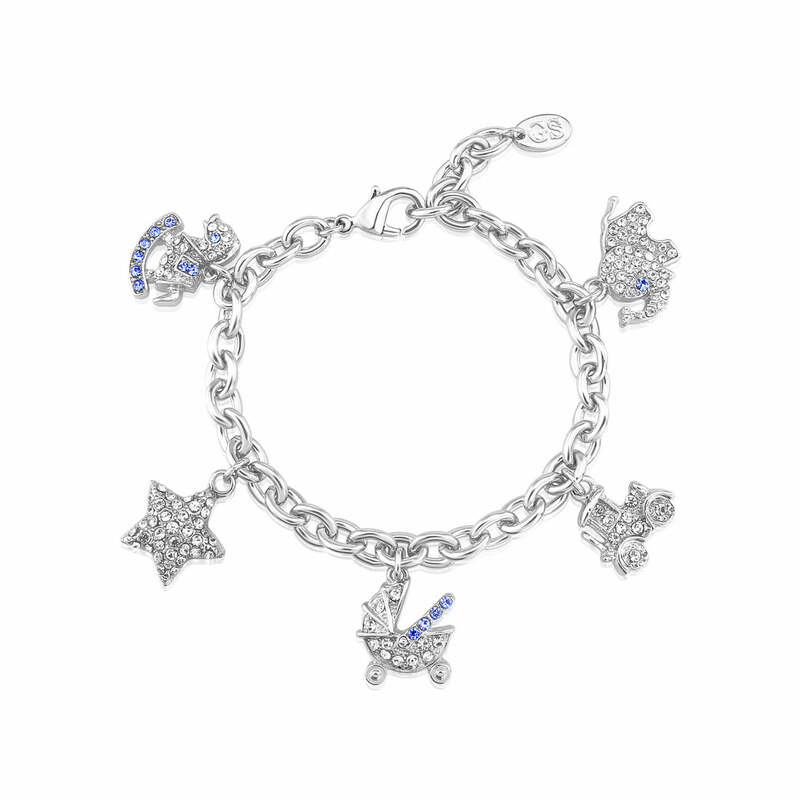 The cutest gift for new Mums or a Mum To Be, our It's a Baby Boy Charm Bracelet will flaunt their Yummy Mummy status. Full of sparkle our It's A Boy Charm Bracelet is a beautiful keepsake gift for new Mums and those Mum's-To-Be who have found out they are expecting a little blue bundle in the very near future. A silver tone link bracelet which is adorned with the most exquisite Austrian crystal clear and pastel blue bejewelled charms including a traditional rocking horse, the cutest elephant, a vintage car and an antique pram and a glittering star - It's A Boy will become a treasured accessory which will hold the fondest of memories for years to come. Presented in an elegant white and black gloss gift box and hand-tied with blue ribbon, you have peace of mind that your gift will look exquisitely special for this momentous occasion. 10% of all profits will go to Baby Lifeline - a charity dedicated to caring for pregnant women and newborn babies.